JUST LISTED! 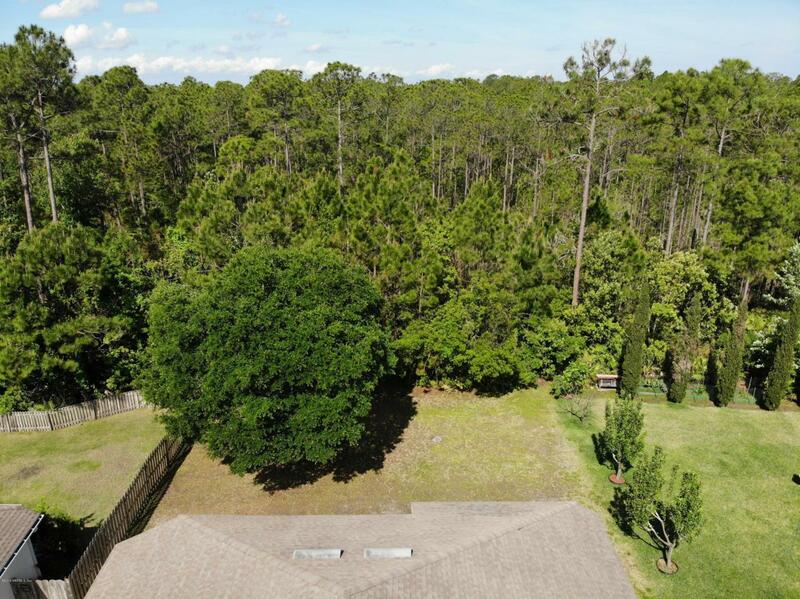 MOVE-IN ready home on a PRIVATE NATURE PRESERVE! 3 Car Garage! This open floor plan includes a FORMAL living room & dining room, SPACIOUS Family Room, & Eat-In Kitchen! 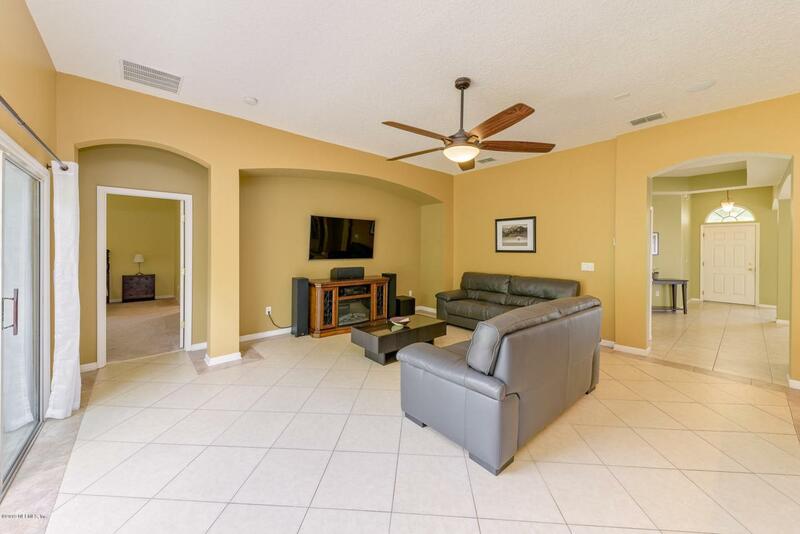 10'Ceilings, Architectural Arches, Ceiling FANS, & TONS of Natural Light throughout the home! DON'T MISS THIS ONE! 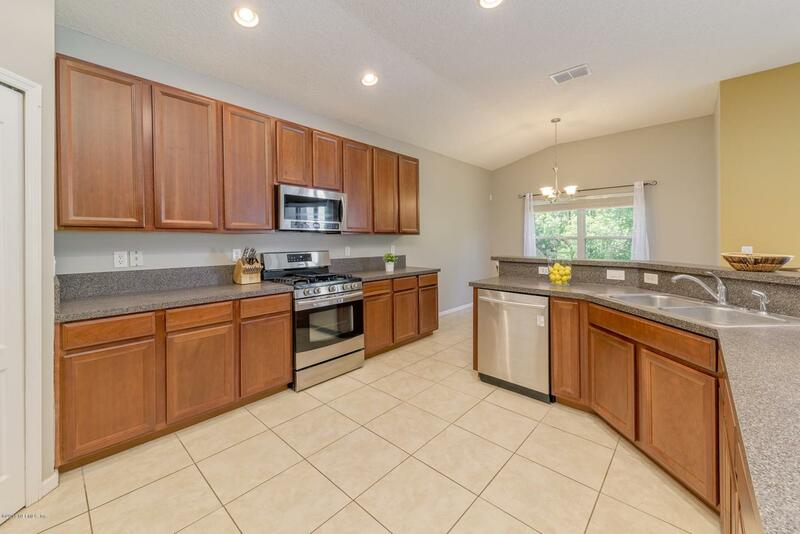 Open Concept Kitchen w. 42'' cabinets, STAINLESS STEEL APPLIANCES, & HUGE Island! FRIDGE STAYS! 16'' Ceramic Tile Floors are classy & easy to maintain! Beautiful ENGINEERED HARDWOOD in Guest Bedroom! Relaxing Master Retreat overlooks the Nature Preserve! EN SUITE Master Bath includes Dual Vanities, GARDEN TUB, & Separate TILE Shower! GIGANTIC Master Closet! 4 GLASS SLIDER PANELS lead to the large backyard that is perfect for a play set or garden! Recessed lighting & SURROUND SOUND! 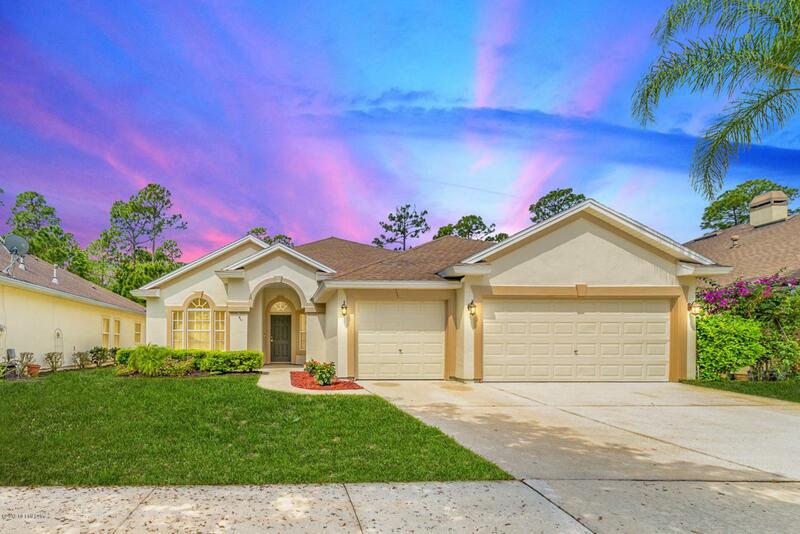 WON'T LAST LONG!Located in Desirable Bartram Springs! Resort Style Amenities include Pool w. Slide, NEW Fitness Center, Tennis/Basketball Courts, Sand Volleyball, NEW gazebo & Fire Pit! Bartram Springs Elementary School is located IN the Neighborhood! A+++ Location! Google Durbin Pavilion to see all the amazing growth, retail, and restaurants coming just 10 mins from Bartram Springs.